Language barriers are always a pressing issue for businesses that want to communicate effectively with the customers. This can limit the geographical expansion strategies of the business, especially in the Middle East. This is where our Arabic call center services can help you embrace all your business growth and expansion strategies just the way you would love. The call center support services we offer will help you work on your business expansion plans effectively addressing the linguistic barriers that might set you on the back foot otherwise. As any customer would be inclined to buy from a shop that speaks their native language, the Arab to is comfortable buying from someone who speaks their language and knows their culture. This makes it extremely imperative for all the businesses that want to woo the consumers in the Middle East to make Arabic the most important aspect of their customer service. If you want to know why certain companies such as BlackBerry and Nokia had a stronger customer base, you only need to understand their Arabic customer support. The same has been taken over now by the companies such as Apple and Android for the same reasons. For a business, it only makes sense to take advantage of the thriving economies of the Middle East and by envisaging a robust and comprehensive Arabic call center tech support and customer service, the chances of making it big are only better. Why businesses choose PGBS for their Arabic call center requirements over others in the Middle East? Over the years, PGBS has successfully delivered a wide range of multilingual call center projects to clients in the Middle East. With our impeccable service deliverance, a dedicated team and flawless contact center management practices, we have helped them improve their customer satisfaction and business growth significantly better. Our experience and global quality standards always deliver maximum value to the client, their operations, and their customers along with their investments. This unique confluence of impeccable service traits makes us better than most call center outsourcing vendors in the same niche and hence we are sought-after by many businesses who want quantifiable results. 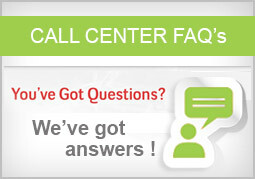 If you are a business looking for the best call center support, you have reached the right place. The unique multilingual call center solutions we offer will envisage a new era for you and your business. Why Choose the Multichannel Support from PGBS? Comprehensive customer support in Arabic language rendered over the phone, live chat and email. Call center executives with exceptional command over Arabic and English. Services proffered from India who has strong population who has Arabic as the primary language people. Customer Support executives having years of experience in working or living in the Middle East with good understanding of the culture and customer behavioral patterns. Customized service offerings meeting your specific business requirements—24×7, business hours and/or after hours. Phone numbers local to the respective Middle-eastern companies. Scalable and flexible service offerings to meet the requirements of the business. You can choose the strength of the team as per seasons, holidays and peak business times. Dedicated and professional account management with experienced quality assurance team to meet and exceed all your quality specifications and requirements.